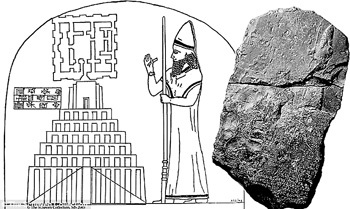 Did Nimrod Build More Than Just a “Tower”? Perhaps Nimrod was diligently laboring to create more than just an interdimensional landing pad; it is quite possible that he was building an ancient interdimensional portal generator. It is quite possible that the wrath of God fell upon the tower because mankind was “of one mind” to create a mechanism to storm Heaven itself! Now, mind you, they had no better chance of winning than did Lucifer with one-third of the angels. However, their very audacity required an answer from Heaven. Since the news report above, CERN has powered up its collider several times and has conducted experiments. The scientific community has been both fascinated with the data gathered and has collectively exhaled with a sigh of relief. However, there is more to the story. These experiments were conducted with only a small fraction of the power the collider can generate and in 2015 the titanic machine will be fired up to generate a magnetic field that is 100,000 times more powerful than Earth’s!At that time, “The Large Hadron Collider could open a doorway to an extra dimension and ‘out of this door might come something, or we might send something through it,” has said Sergio Bertolucci, Director for Research and Scientific Computing at CERN. And Aurelien Barrau, French particle physicist at the CERN adds: “The idea of multiple universes is more than a fantastic invention and deserves to be taken seriously.” So were past experiments merely a “knocking on the door” of creating a dimensional portal? Perhaps we have several clues at CERN itself. The first is its logo. 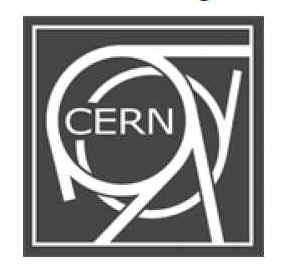 The CERN Hadron Collider has encoded within it the Illuminati signature of “666.” In the minds of many biblical researchers, the logo itself connects the collider with the coming Beast system. Some have speculated that the logo was only meant to resemblesynchrotron particle accelerators. [iii] Yet it is concerning to me that synchrotron particle accelerators create a 666 pattern. It is a common practice within esoteric societies to hide the truth in plain sight and to misinform the uninitiated as to the symbolism’s true meaning. 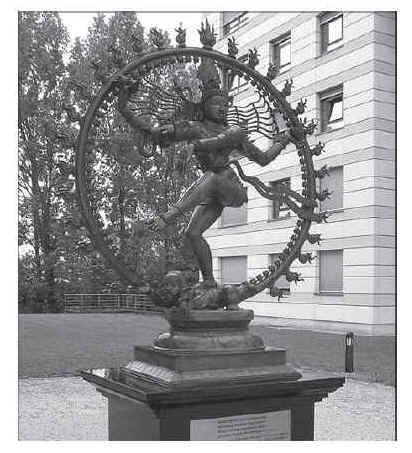 Isn’t it a little unnerving that the scientists at CERN, who have essentially declared that they do not believe in the God of the Bible as Creator, chose to place an idol outside of their facility that represents a being that follows after Brahma the creator and destroy worlds? Shiva, according to Hindu belief, can dismantle all matter and reality itself. I have come to believe that CERN is only one of many such colliders around the globe that the Elite are using in experiments to find a way of creating a stable portal into other dimensions. Such technology could assist in completing Nimrod’s war on Heaven itself. The Lifeboat Foundation adds how “Transhumanists advocate the improvement of human capacities through advanced technology. Not just technology as in gadgets you get from Best Buy, but technology in the grander sense of strategies for eliminating disease, providing cheap but high-quality products to the world’s poorest, improving quality of life and social interconnectedness, and so on. Technology we don’t notice because it’s blended in with the fabric of the world, but would immediately take note of its absence if it became unavailable. (Ever tried to travel to another country on foot?) Technology needn’t be expensive—indeed, if a technology is truly effective it will pay for itself many times over. “Transhumanists tend to take a longer-than-average view of technological progress, looking not just five or ten years into the future but twenty years, thirty years, and beyond. We realize that the longer you look forward, the more uncertain the predictions get, but one thing is quite certain: if a technology is physically possible and obviously useful, human (or transhuman!) ingenuity will see to it that it gets built eventually. Transhumanists paint themselves as futurists and, possibly, the ultimate benefactors for all humankind. They seek to cure all diseases, greatly improve our intelligence, and prolong our lives. Yet, when you peel back the carefully crafted public relations hype, you discover so much more. Graham reveals in her abstract that transhumanism is a technoscience religion. Notice that she addresses the belief that cyberspace is actually some type of sacred space. It is very possible that transhumanism will eventually become the one-world religion: man transcending the limitations placed on him by the Creator and becoming a god. Although transhumanists promise to provide the fulfillment of the serpent’s promise in Genesis 3, they will eventually reconstruct the genetic mutation of Genesis 6! I shared the dangers of tampering with the human genome in my chapter in Blood on the Altar: The Coming War between Christian vs. Christian: where I described the “image of God and the Human Conscience”. By God’s leading, I have embarked on an adventure in reading this year. As a Christian educator, I have attempted to read every systematic theology book ever written in English. As I recently viewed several videos by a seasoned man of God named R. T. Kendall on YouTube, I noticed that he had printed the lectures he conducted as pastor of Westminster Chapel. I was so blessed by the videos that I decided to read through them for a refresher. These lectures are called “Understanding Theology.” As I read, I came upon this quote: “The conscience is what is left of the image of God in us, incapable of saving us and yet leaving us without excuse”[ix] (emphasis added). Even in sinful man, the image of God remains (though marred) and is manifested as his conscience. I read the sentence through about ten times and leaned back in my chair as it impacted my spirit and mind. DNA holds incredible volumes of information that we can only begin to understand. DNA has an antenna array to pick up planetary or cosmic vibrations. The 7.83-hertz frequency resonance is essential for life. If the resonance changed, it would affect how man thinks and acts. The conscience is the image of God within (although marred by the Fall). This image is alive and speaks—our conscience tells us when we have done something wrong. The image of God within is restored through the new birth. The conscience of man becomes revitalized, and we slowly learn to hear God’s voice with clarity. Notice the sequence in which Revelation reveals Lucifer’s plan. The False Prophet has power to give life to the image of the Beast. Is he able to mimic the Holy Spirit and erase the image of God within man and replace it with the image of the Beast (possibly a resequencing of man’s DNA to form a new and superior species)? Man would have no more conscience. It would be impossible to respond to the gospel and repent. These men and women would be unredeemable. Worship of the image of the Beast. How do we worship God? We pray to Him. We respond to the leading of His Spirit. We give reverence to His Word. 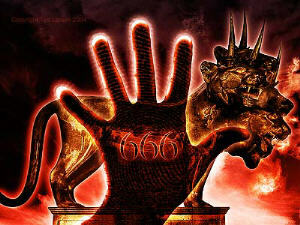 Maybe the worship of the Beast here is that those who receive the mark only listen to the Beast. They are hardwired to only respond to his word and his voice. Worship used in Revelation 13:15 in the Greek is προσκυνέω (proskuneo), which means “to give reverence, to bow the head down to the ground in homage.”[x] In other words, it denotes complete submission to the newly created image of the Beast within: spirit, soul, and body. Those who do not worship the image are killed. Darwin would be proud. We are taught in his book, On the Origin of Species by Means of Natural Selection, or the Preservation of Favoured Races in the Struggle for Life, that as mankind evolved into homo sapiens, the new species rose up and killed out the old. This has been drilled into the minds of our children in our school systems for several generations. According to Darwin’s rationale, the new, improved homo perfectus would rise up to wipe out the old, inferior race (similar to the logic the Nazis used during World War II). This slaughter would be fueled by the image of the Beast within. Mark of the Beast. If you change the basic genetic coding of mankind, it would most likely change the appearance of man. I have heard from several sources that the members of the Illuminati maintain control of script writers for TV programs and movies. These powerful individuals boast that they continually foretell their plans via the scripts. The CW broadcasts a show that has aired for two seasons now, Beauty and the Beast. Vincent, the main character, is a victim of genetic alterations to produce a super soldier in a secret program fashioned for the government. (It is very interesting to note that the genetic coding came from a beast that was on the earth thousands of years ago—i.e., Nephilim.) When Vincent goes into “beast mode,” there are distinct changes in his body—particularly in his forehead and hands. The writers of this show have thought through how changing the genetic code would alter one’s appearance—except in our case in the future, there would be no on-and-off switch. The appearance (and the soul) would be forever changed. As transhumanists seek to rewrite the human genome to assist or accelerate evolution so that man can enter into a techno-godhood, they may very well erase the image of God that resides within mankind. I believe their work to overcome death will be directly connected to the eradication of God’s image within man’s DNA. According to Nick Bostrom, transcendentalist impulses have been expressed at least as far back as in the quest for immortality in the Epic of Gilgamesh [the Sumerian telling of Nimrod’s quest], as well as historical quests for the Fountain of Youth, Elixir of Life, and other efforts to stave off aging and death. To become Nietzshe’s Übermenschthat has moved beyond good and evil. The Elite would seem to be using the Transhumanist Movement to overcome death, so they would never be answerable to God. To be honest, that is a very dangerous combination: no sense of right and wrong and no fear of death. Imagine for a moment having a Hitler, Mussolini, or some other despot who could never be killed! Welcome to the last days. Therefore, posthumanity or “Human 2.0” will be augmented with greater intelligence in immortal and super-powered bodies and will be linked directly into their sacred space (cyberspace). The Elite’s intent is not to make all of humanity into pseudo gods; whether they understand it or not, they are building a new breed of mind-controlled Nephilim to become Nimrod’s ultimate army. In the next (final online entry) we will continue with Plato, Transhumanism, and the coming of Antichrist’s Strange Army. [vii] Michael Anissimov, “Top Ten Transhumanists Technologies,”http://lifeboat.com/ex/transhumanist.technologies. [ix] R. T. Kendall, Understanding Theology, Vol. 1 (Ross-shire, Great Britain: Christian Focus, 1996) 15. [xi] Thomas Horn, Blood on the Altar: The Coming War Between Christian vs. Christian(Crane, MO: Defender Publishing, 2014) 105–108. Tags: Nimrod, Shinar Directive, Transhumanism.